For the second time in two weeks, Puerto Rico has been hit by a hurricane. Hurricane Maria battered the island nation after it made a landfall near the southeast coastal town of Yabucoa as a Category 4 storm with wind speed of 250 km/h. The trees were snapped, roofs were destroyed and power lines were brought down by life-threatening winds for several hours. It brought at least 50 centimetres of rain. 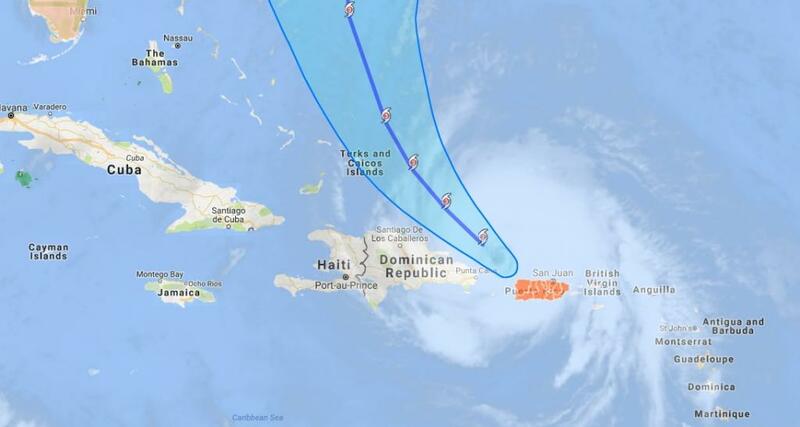 The hurricane is now marching towards the Dominican Republic and it has weakened to Category 2 storm. Forecasters predict that it will regain Category 3 status around 11 pm (local time) Thursday. Even before Maria hit Puerto Rico it had already wreaked havoc in small Caribbean nations, killing at least seven in Dominica and two on the French Caribbean island of Guadeloupe.